Grass Valley Mayor Howard Levine addresses the crowd in attendance of Tuesday morning's dedication of the new sign at Mautino Community Park on Alta Street in Grass Valley. Mautino was Grass Valley's first female mayor and was a strong proponent for open space and the establishment of parks. An image of one of Devere (Dee) Mautino's famous hats is emblazoned on a portion of the new Mautino Community Park sign, dedicated Tuesday morning by the Foothill Lions club of Grass Valley, who raised the necessary funds to erect the new park entryway. 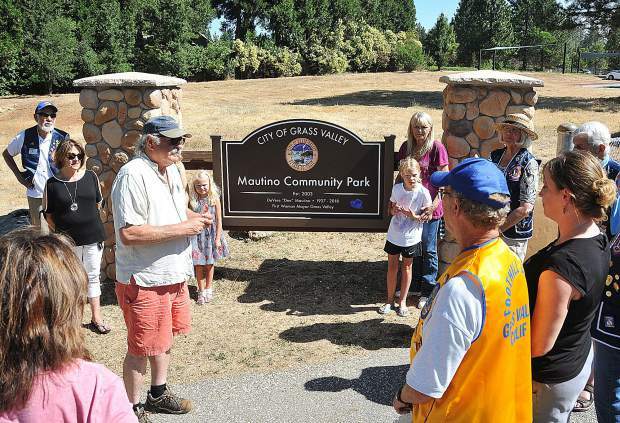 Members of the Foothill Lions club of Grass Valley were out in full force to dedicate the new Mautino Community Park sign at Mautino Park in Grass Valley. 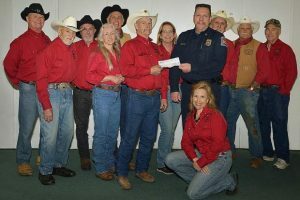 The Lions club was instrumental in raising all of the funds needed to build the park's new entrance. Members of Devere (Dee) Mautino's family pose in front of the new sign dedicated at Mautino Community Park Tuesday morning. 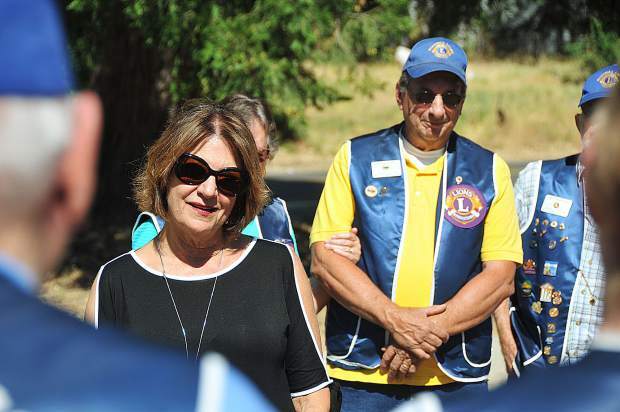 Family members stand along side members of the Foothill Lions Club of Grass Valley, who were instrumental in raising the funds needed to erect the new entryway. 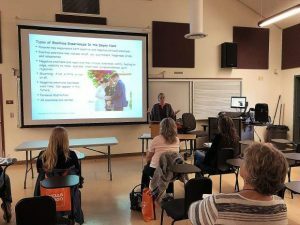 Grass Valley city councilwoman, and former Grass Valley mayor, Jan Arbuckle gives a few words about how important Devere (Dee) Mautino was for the community during Tuesday morning's dedication. Grass Valley Mayor Howard Levine addresses the crowd in attendance of Tuesday morning's dedication of the new sign at Mautino Community Park off of Alta Street in Grass Valley. Mautino was Grass Valley's first female mayor and was a strong proponent for open space and the establishment of parks. 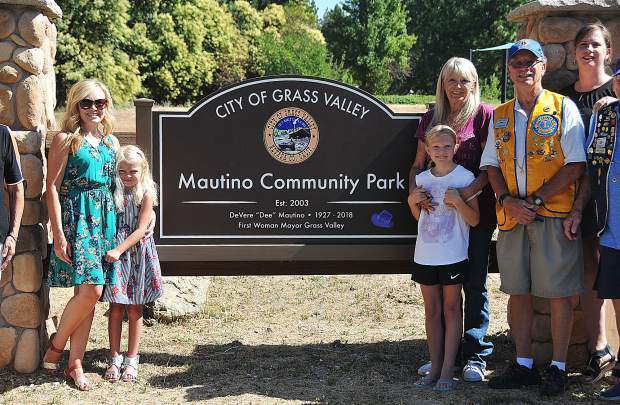 One of Grass Valley’s biggest champions — Devere (Dee) Mautino — was honored with a new entryway to the park she fought to establish, Tuesday morning at Mautino Community Park. Though Mautino died on March 12 at the age of 91, her surviving family members were on hand to see the dedication of the park’s new sign and entryway. 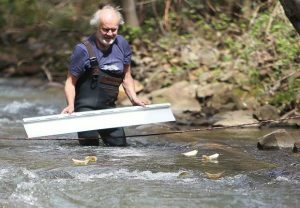 The park, located at Alta Street and Alta Hill Mine Road, was an unkempt lot when Mautino envisioned the area as a community park. 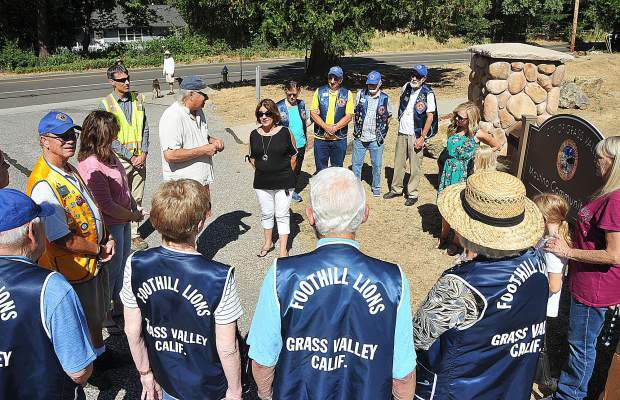 The Foothill Lions Club of Grass Valley did all of the necessary fundraising to have the new entryway to the park built. 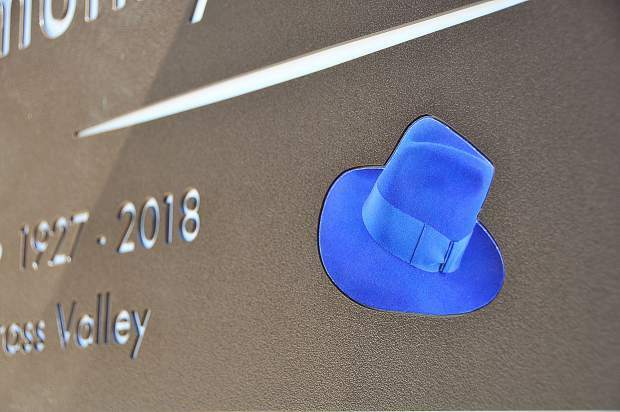 A portion of the sign depicts one of Mautino’s iconic hats that she was known for wearing. 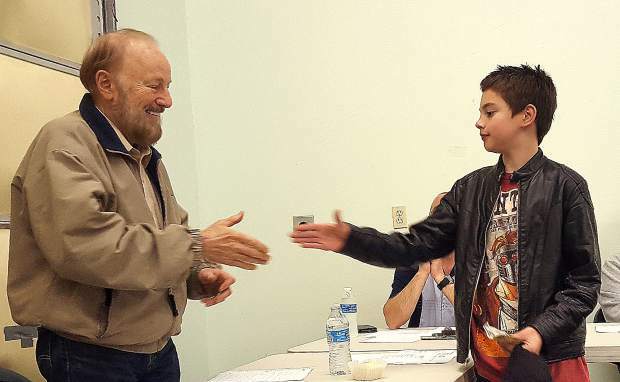 Members of the Foothill Lions plan to continue maintaining aspects of the park in the future.